Barter Books : Anderson, R C [ed.] : Southampton Record Society. 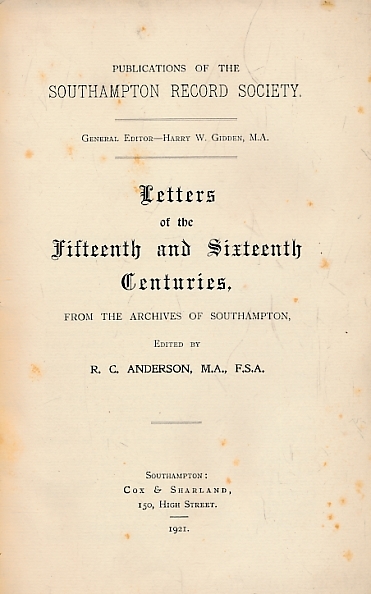 Letters of the Fifteenth and Sixteenth Centuries. 270 x 170 mm (11 x 7 inches) - xvi, 231pp. G: in Good conditionwithout dust jacket. Rebound with new eps. Occasional browning and pencil annotations to text.